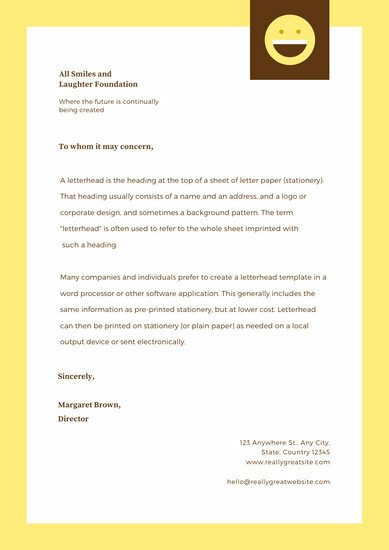 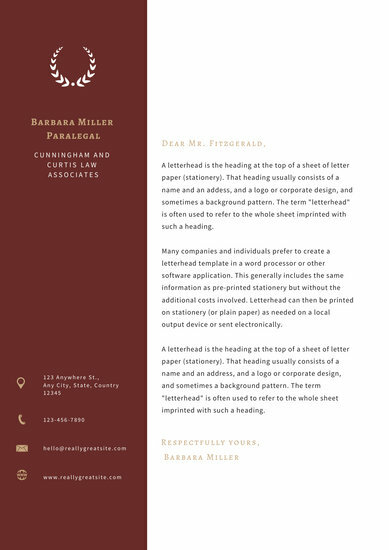 Create corporate documents that are sure to impress with a letterhead template perfect for your business or brand. 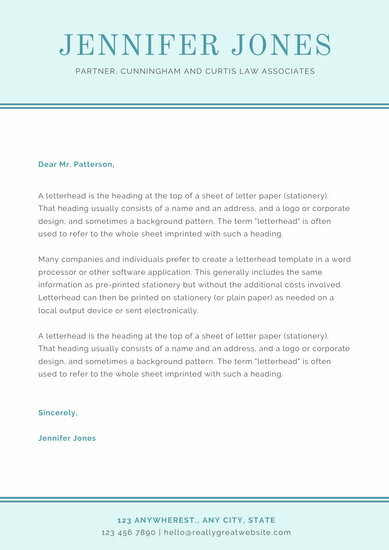 Free to try and easy to customize now. 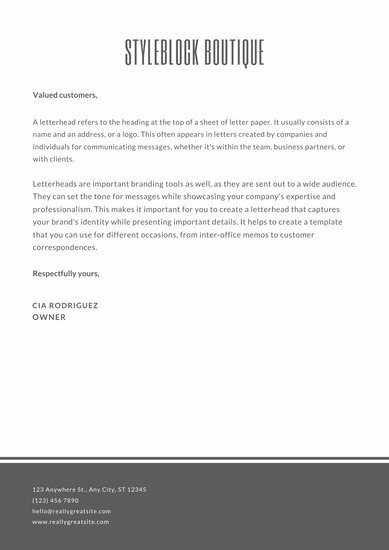 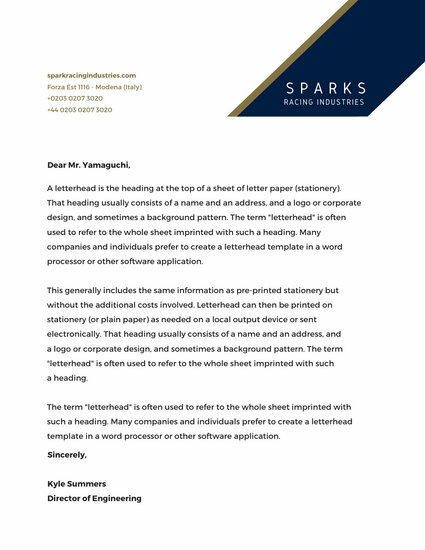 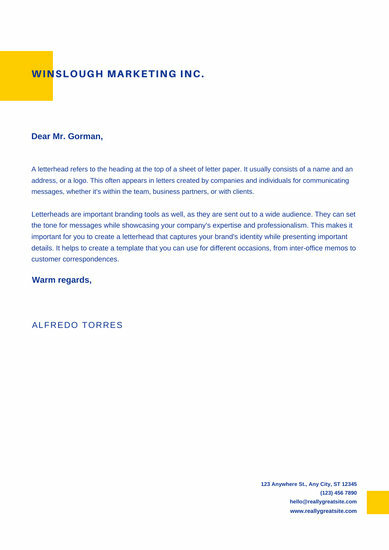 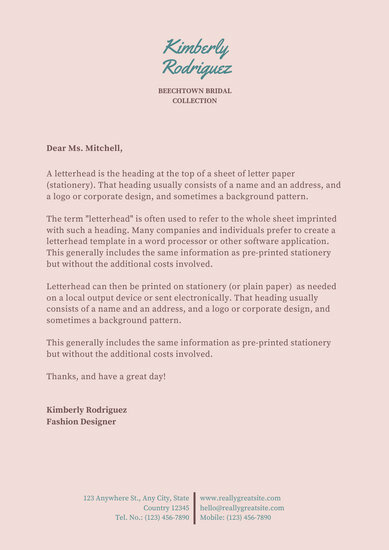 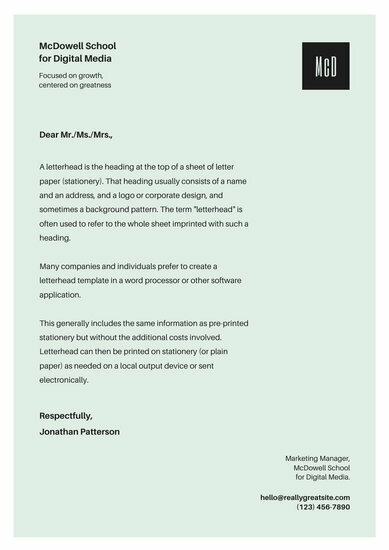 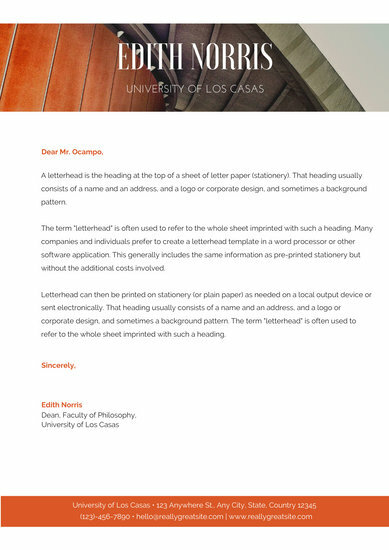 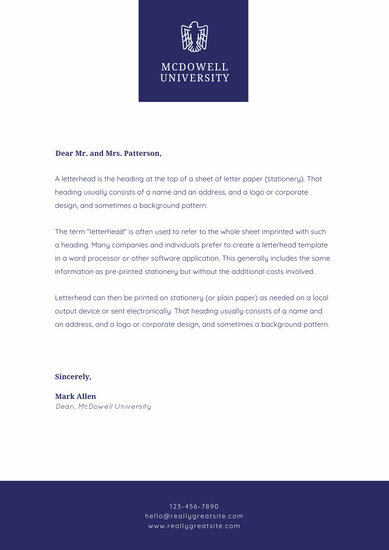 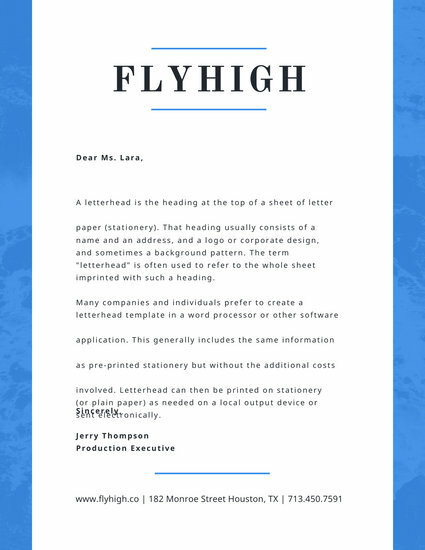 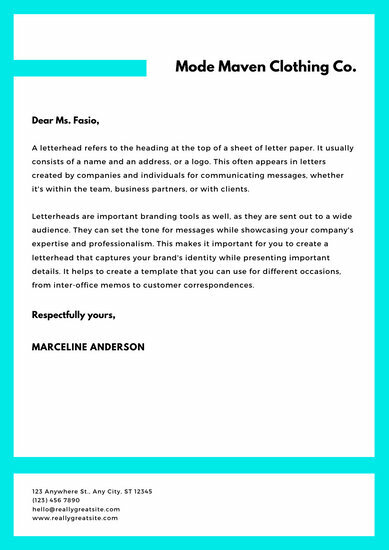 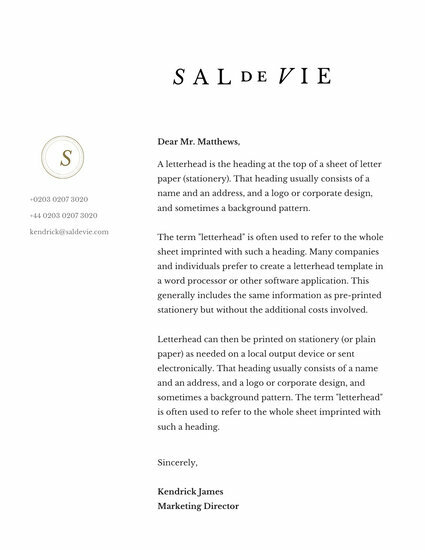 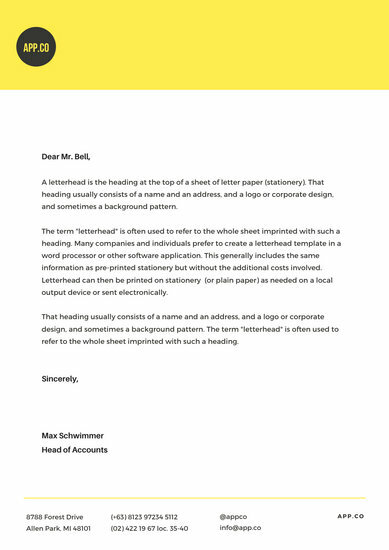 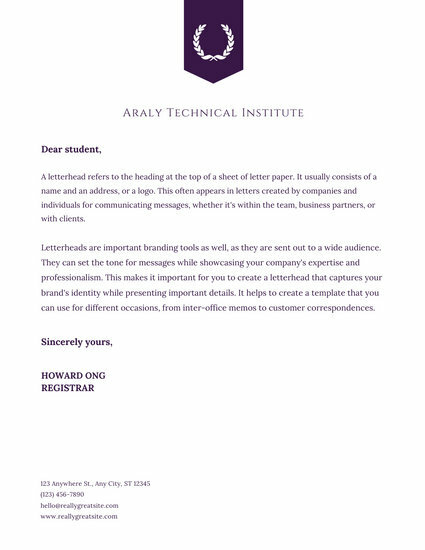 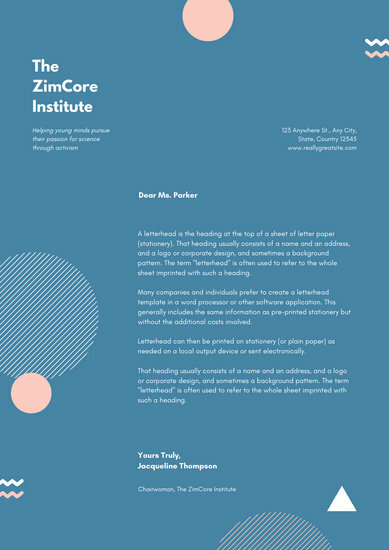 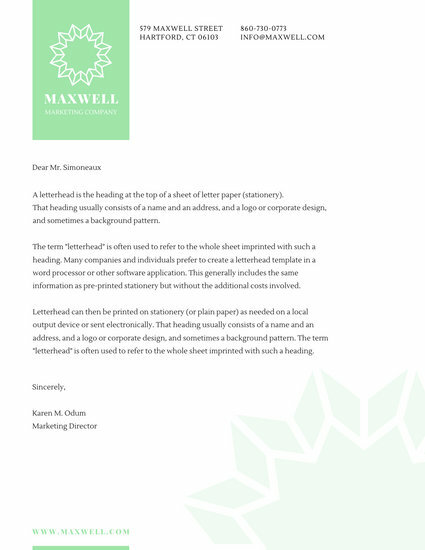 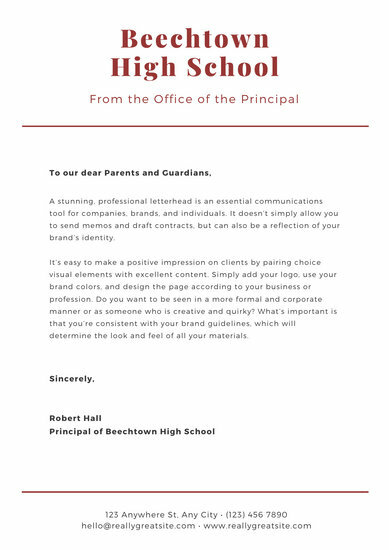 Letterheads are definitely important branding tools for any business that can't be overlooked. 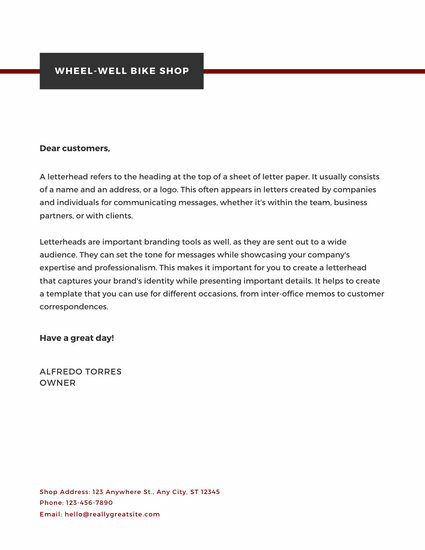 As a vehicle for your business' official documents and communications, it has an impact on how business partners, clients and stakeholders view your brand. 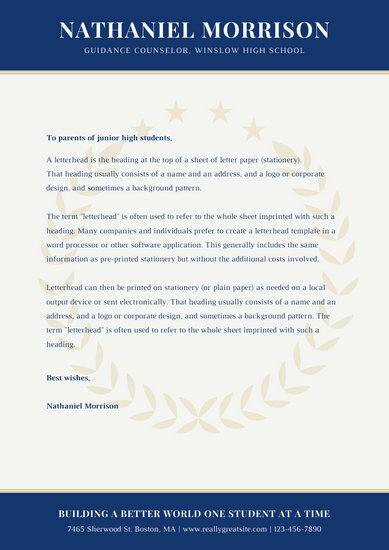 A well-designed and attractive letterhead speaks plenty of your company's expertise and professionalism. 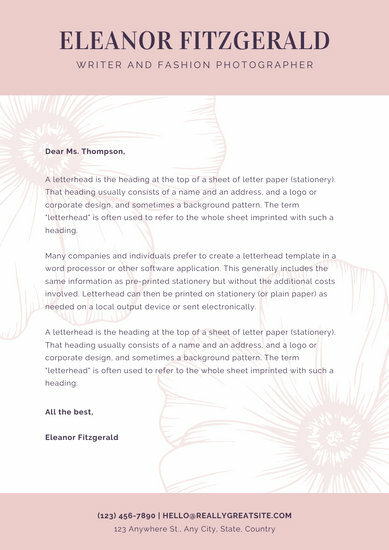 Creating one for your business need not be expensive or time-consuming. 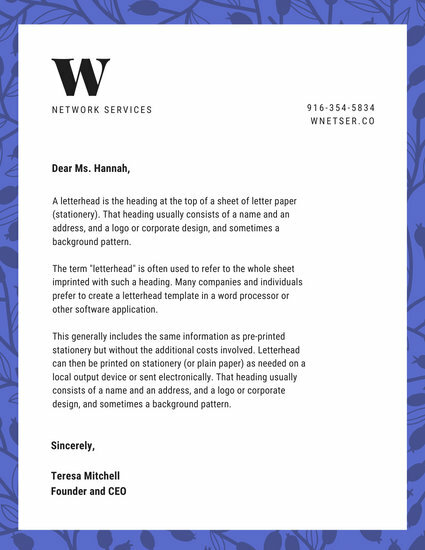 Canva has a wide variety of business letterheads you can choose from and tailor-fit for your brand. 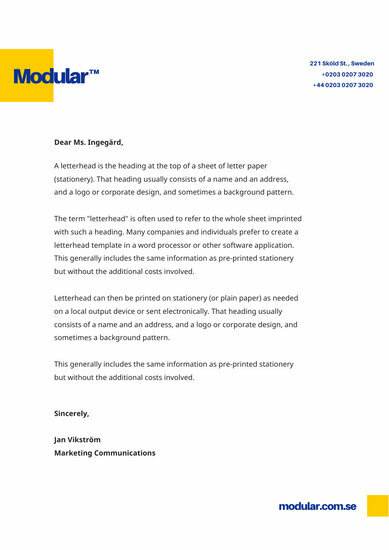 Choose from more traditional letterheads to more visual designs; from simple designs to patterned and colorful ones. 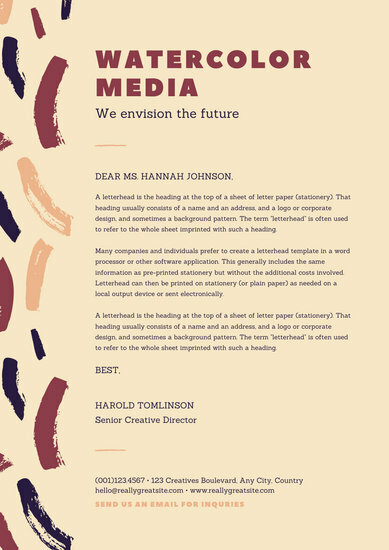 Then, use the Canva design editor to tweak your chosen layout. 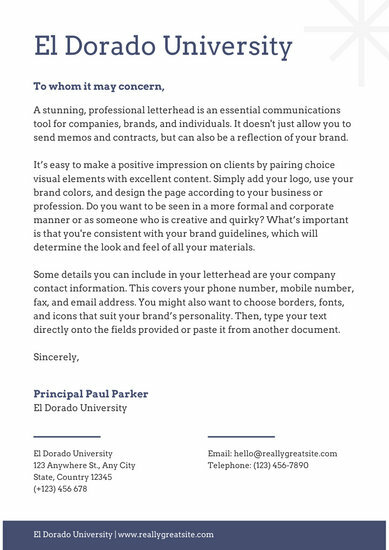 Start by uploading your own brand asset such as a logo. 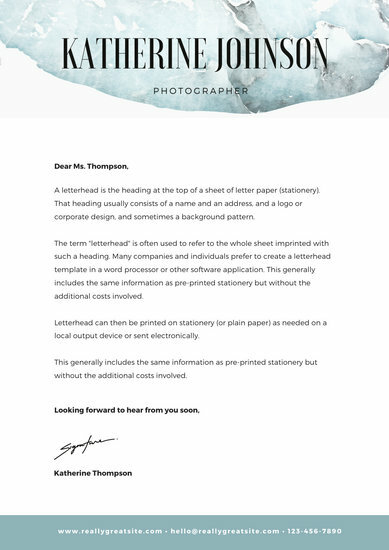 Just drag and drop your image file into Canva and place it within the design. 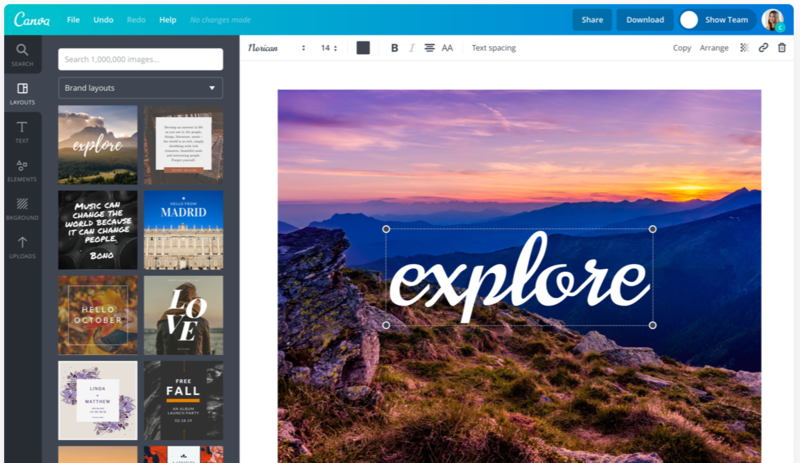 Add more elements to your design by browsing Canva's library of stock images, illustrations, vectors, lines and shapes. 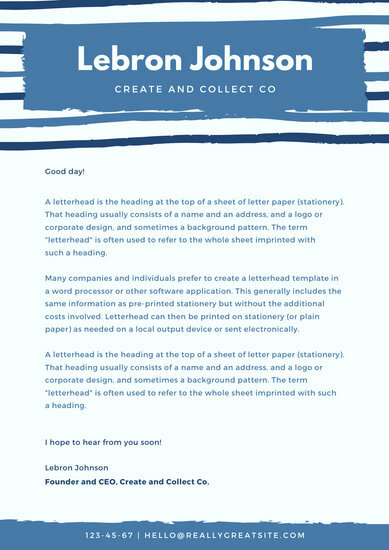 Scroll through the text tool with over a hundred fonts to use for your business correspondence. 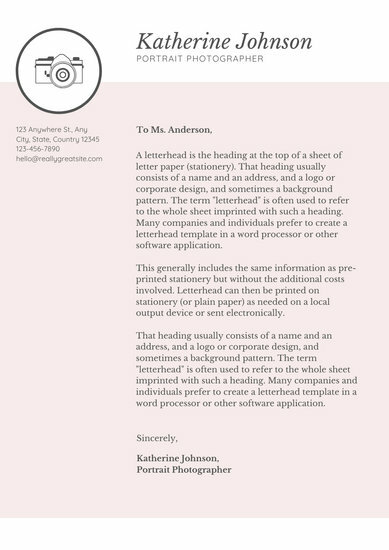 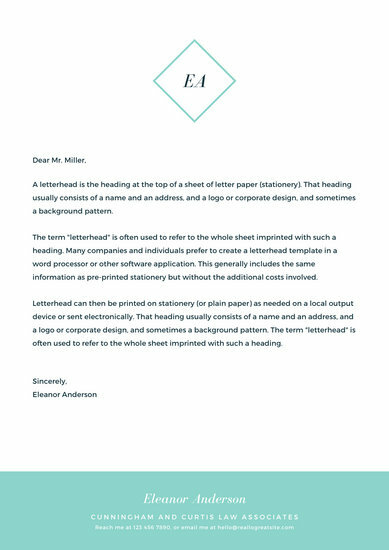 You can even add a background to your letterhead template and choose to use solid colors or textured background including a variety of patterns and images. 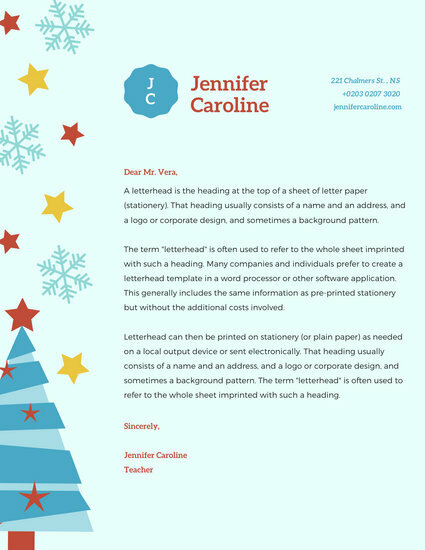 Get some help and insights from colleagues by collaborating on this project. 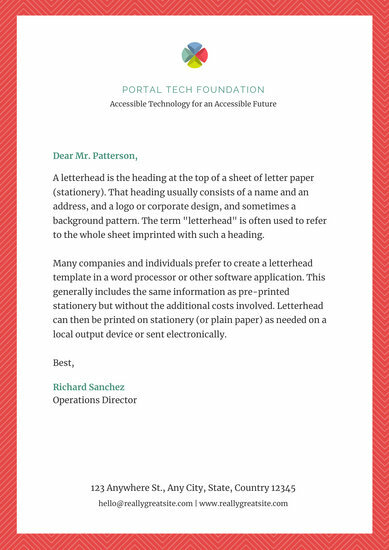 You can easily share an editable link by clicking on the share button. 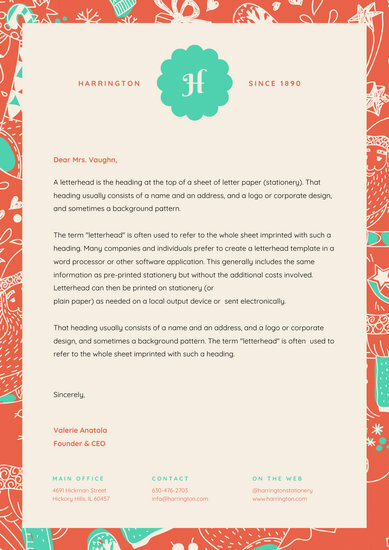 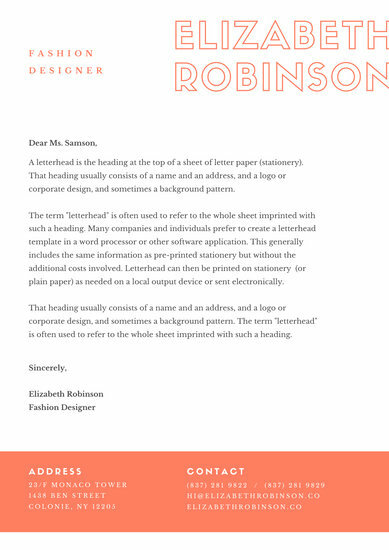 Finally, download your design as JPEG, PNG or PDF files for use on printed letters or digital correspondence. 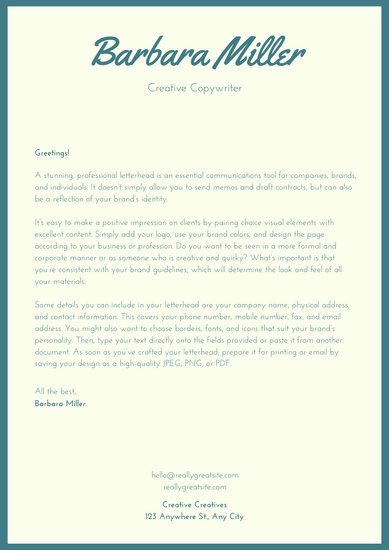 Canva will save a copy of your design on your homepage so you can go back and edit it any time.